With the NHL trade deadline coming fast and Nashville’s two top defenders Shea Weber and Ryan Suter both with expiring contracts, questions and uncertainty as to the future of Nashville’s roster are abound. Here is one potential road the franchise may take. Some of the factors that weigh heavy on Nashville’s decision are the salary cap, fan base opinion, financial wherewithal, and current season performance with thoughts of playoff contention. Salary cap: With the cap limit currently just over $60 million, for Nashville to retain both Suter and Weber at approximately $7 million each, and with Pekka Rinne already at $7 million, they would be committing approximately $21 million or one third of the entire team payroll to three players. 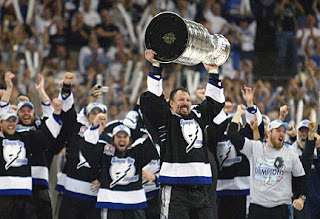 History has shown that while a team can have some success with a top heavy payroll as when Tampa bay won the Stanley cup with most of their cap dedicated to Vincent Lecavalier, Brad Richards, Martin St. Louis, Nikolai Khabibulen, and Dan Boyle, they were unable to maintain their roster. Similarly Chicago won a championship, and then were forced to make cap motivated trades. Those teams did not want to make those roster moves they do at least have a Stanley Cup Championship banner hanging in their arena. The fan base in Nashville is growing fast. The fans have had a fortunate expansion experience in comparison to other recent expansion cities such as Columbus, Minnesota, Atlanta, and Florida. The team has also had star players in the past, but was unable to afford to keep them. 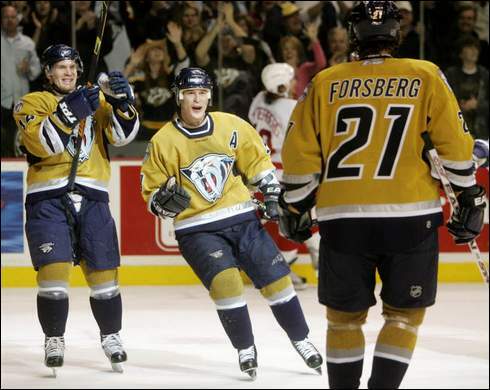 Players such as Paul Kariya, Peter Forsberg, and Kimmo Timmonen were all moved for financial reasons. The fans have had to suffer the loss of stars, and it is hard to maintain allegiance to a franchise that can not retain its star players. Historically Nashville has been a cap floor team. Ownership has been commenting recently that they are now prepared to become a cap ceiling team, and compete financially with the likes of Detroit and Chicago. So consider the green light for spending given by ownership. While it would be absolutely devastating to lose Suter as an unrestricted free agent come July 1st, the team is securely in a playoff position and poised to have their most successful post season in franchise history. As such, they can ill afford to trade Suter away for less than market value as would be the case given his contract status. Given all these factors it is reasonable to assume the following. General Manager David Poile has every intention of resigning both Suter and Weber at fair market value. In order for Poile to convince the players to remain in the organization they would require fair compensation, and the belief that the franchise is committed to winning. Meeting both these requirements would in a sense eliminate most reasons for them to want to leave. The only reason remaining beyond that would be personal preference as seen by Dan Hamhuis during his unrestricted free agency. Immediately improving the teams’ chances for success in the playoffs by making trade deadline acquisitions is one way to show the players the franchise is serious about winning. Rather than selling off Suter as a rental, be a buyer and acquire a rental player. 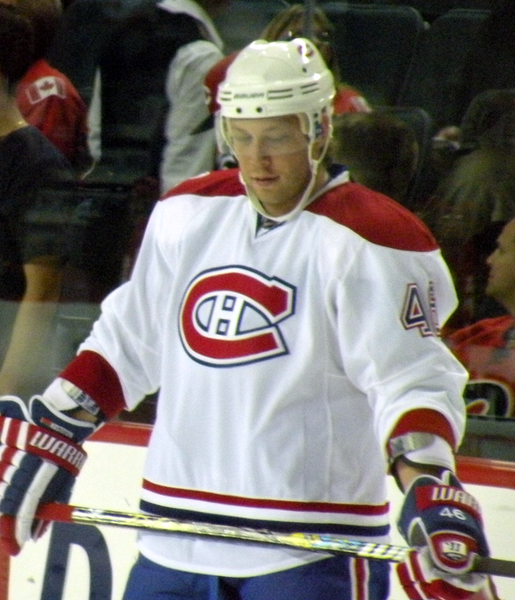 Perhaps a potential target could be a scoring forward, such as Montreal’s Andrei Kostitsyn and reuniting him with his brother Sergei who is currently with the Predators. Another move to make would be to exchange core asset players from their deep pool of defense prospects for a forward prospect of equal potential. Trading a player such as Ryan Ellis would show both Suter and Weber that franchise plans on keeping them as the core of the team and the defense. 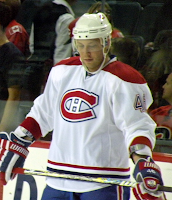 In addition, it would balance out the teams’ strengths with the addition of a top forward prospect. Perhaps one team to potentially make such a trade with could be the Philadelphia Flyers. The Flyers are thin of defensive prospects, and with the loss of Chris Pronger are depleted on the back end. The Flyers also host a bevy of highly talented young players such as James Van Riemsdyk, Matt Read, Brayden Schenn, Jakub Voracek, and Sean Couturier. So what exactly is the plan I am suggesting in this article? If Nashville is serious about keeping its star players and spending up to the cap and contending for a championship that it is within their means to do so. This is after all, precisely what ownership and management are saying they want to do. Therefore expect the team to be buyers at the trade deadline and look to acquire a scoring forward such as Andrei Kostitsyn or Ales Hemsky. Don’t be shocked to see them trade some of their defensive assets such as Ryan Ellis, Jonathon Blum, Roman Josi, or Teemu Laakso for similar valued assets at the forward position. Posted by pharling at 6:21 p.m.